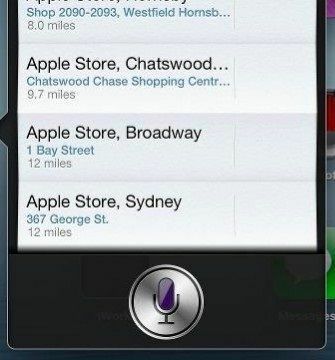 Siri lets New Sydney Apple Store Location Out of the Bag! There has been a lot of rumours surrounding the next location for an Apple Store in Sydney and Cult of Mac look like they have found confirmation from the most unlikely source – Siri. In the iOS 6 (available now to developers as a beta) Siri will gladly tell about the new store and even give you directions – oops! This entry was posted in Article, Tech and tagged apple, Apple Store Sydney, iOS 6, Siri. Bookmark the permalink.